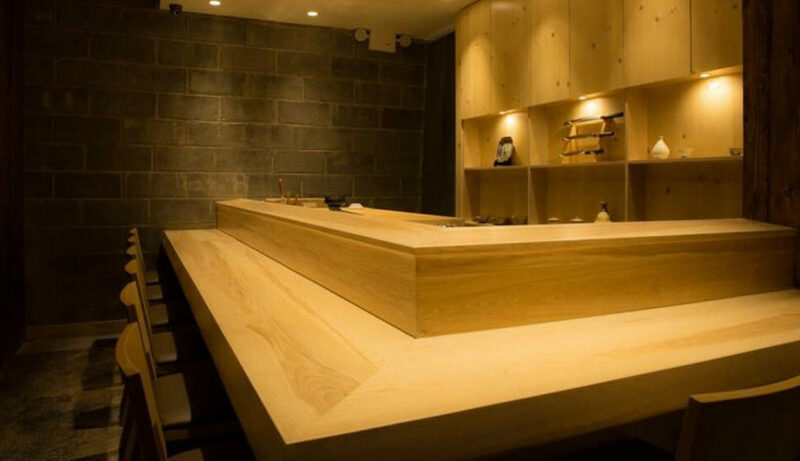 Amane does 2 Omakase servings per night, each for up to 8 patrons. The cost is $250, which does not include tax or tip. Note that this essentially means that even if you do not drink one sip of alcohol, and you do a bare minimum tip of 20%, you are at $300 pre-tax, same cost as GINZA ONODERA, and UCHU, neither of which accepts tip. If you do drink, then your bare minimum will far surpass the other two. 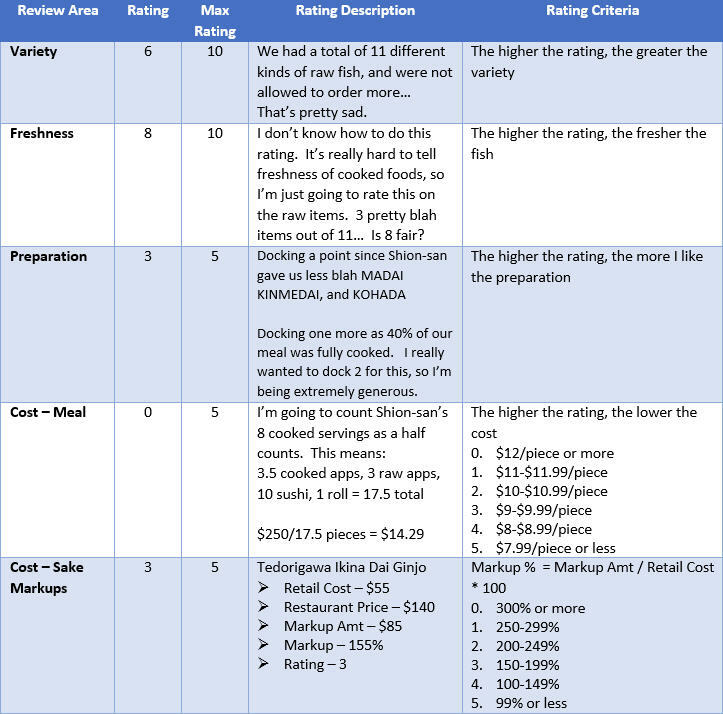 For your $250, you will receive 10 small plates, 10 sushi servings, and one hand roll. 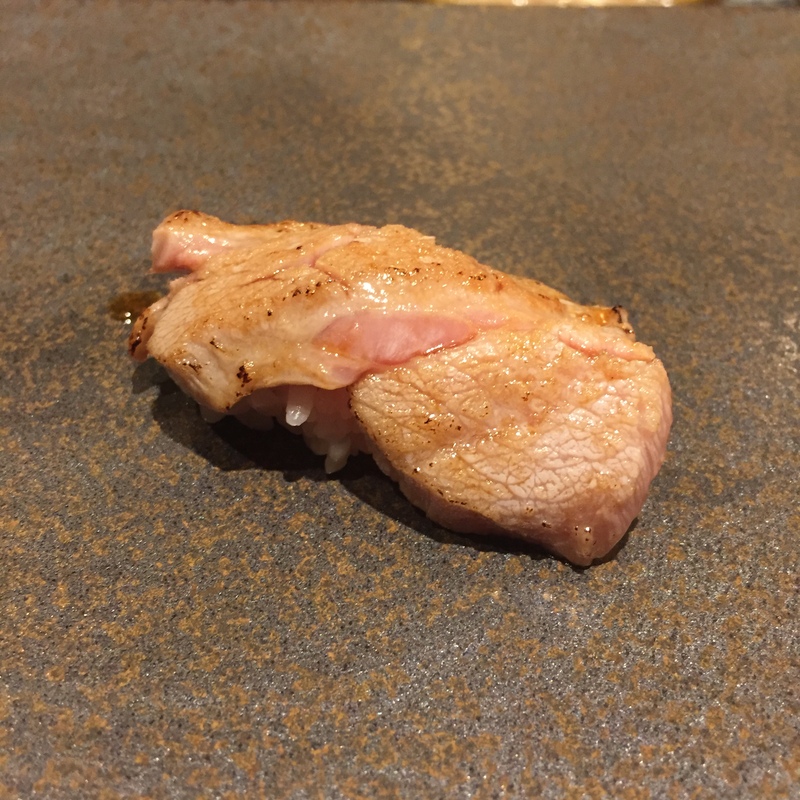 It’s very important to know, that unlike ONODERA and UCHU, Amane’s omakase includes a NUMBER of cooked items. Although I was not able to visit Saito myself, I read a ton of articles on Saito. 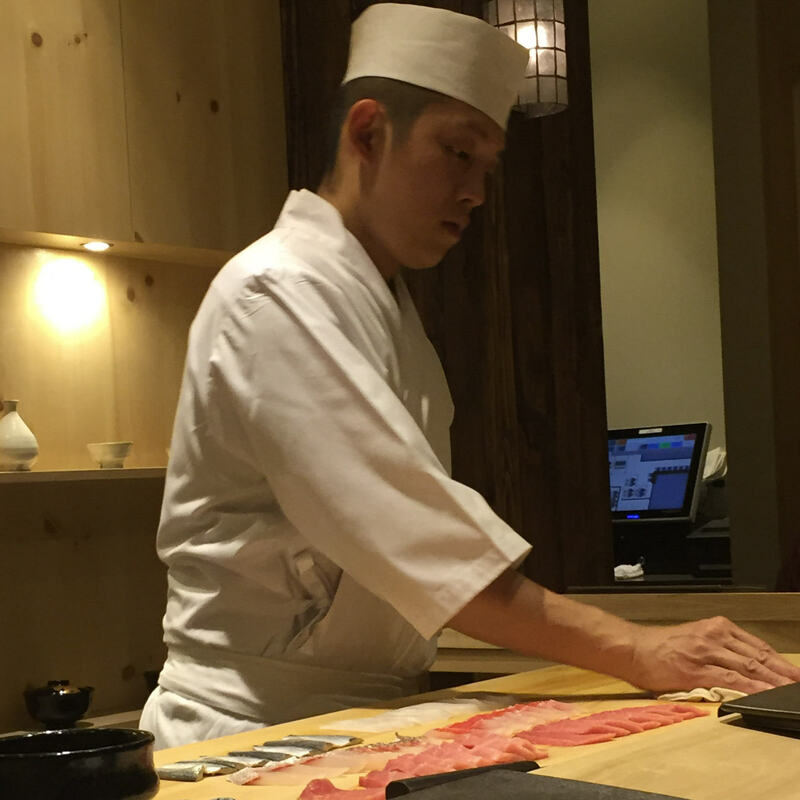 Saito does several rounds of sashimi, ONE grilled fish, and then all sushi. 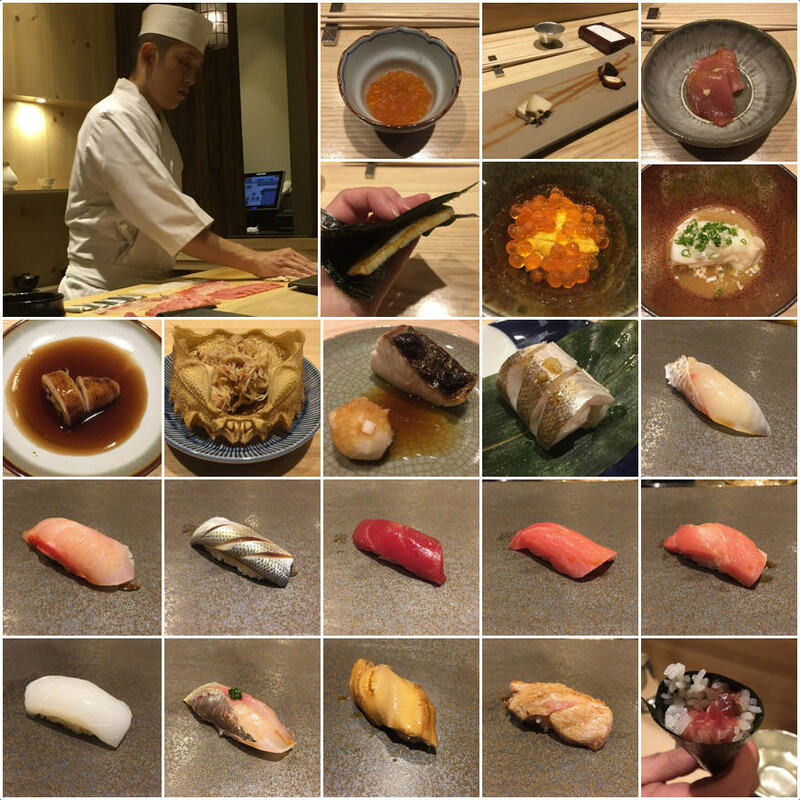 Out of Shion-san’s 10 small plates, 7 were fully cooked items, and out of the 10 sushi items, one was the fully cooked ANAGO, so 8 out of 20 servings are FULLY COOKED. Shion-san claimed that he sticks very much Saito’s methods, so, this was very disappointing, or more appropriate, very frustrating. 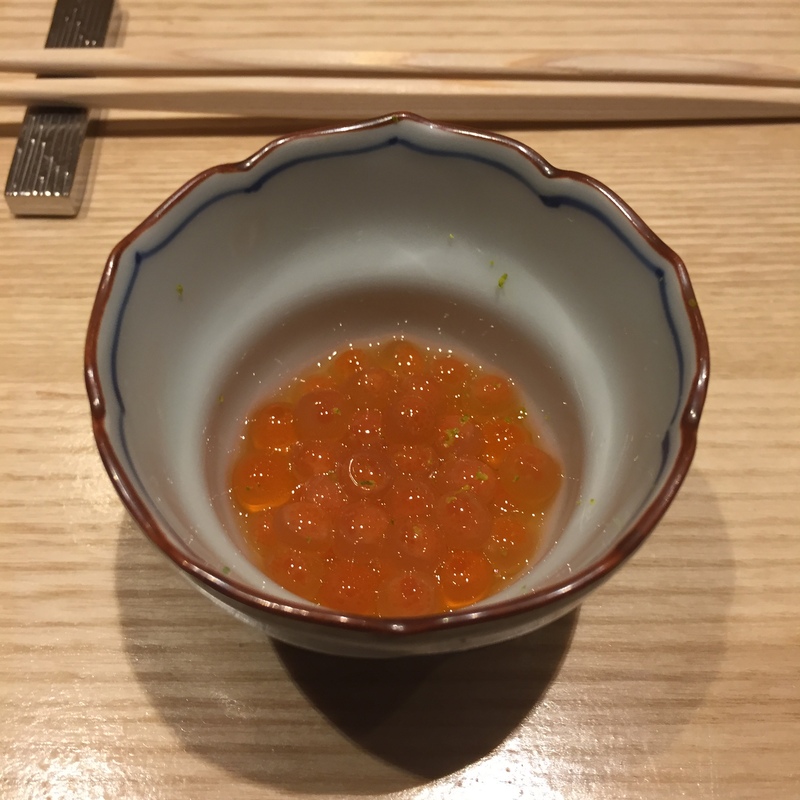 IKURA (Salmon Roe) – Shion-san instructed us to drink the IKURA, thus no spoon. The serving included perfect little pearls, the texture was great, fantastic crunch on each pearl, but the flavoring was slightly lacking. 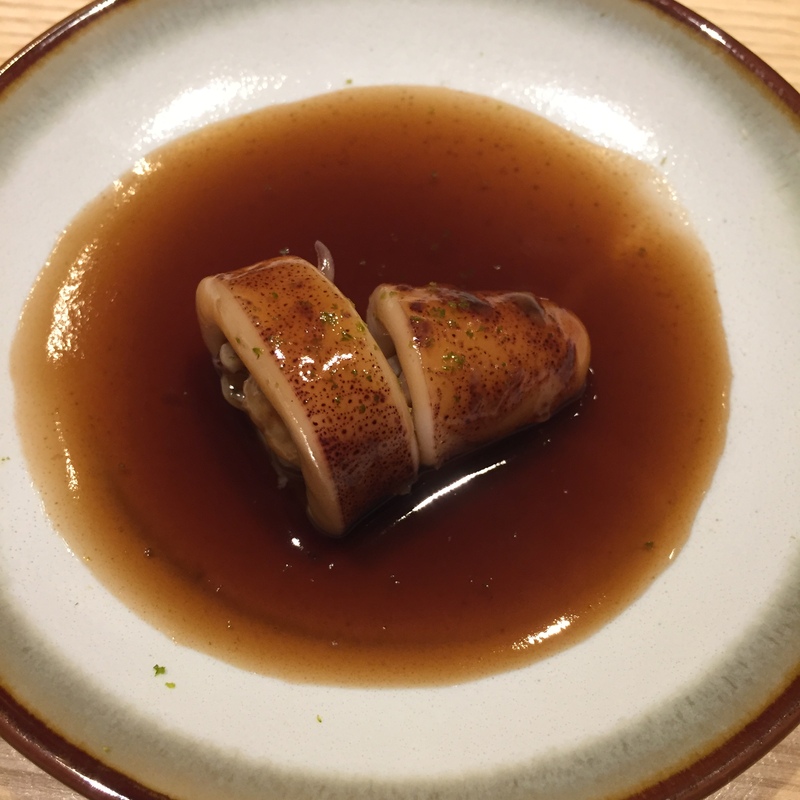 AWABI and TAKO – Wow!!! 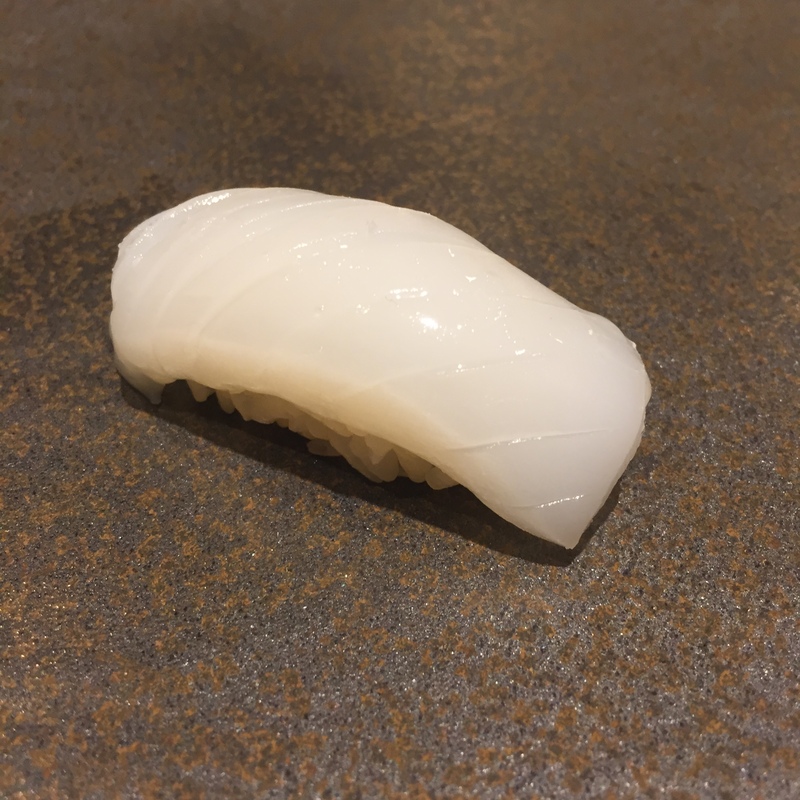 Look at this gelatinous TAKO! The flavoring and texture were both really great, but I’m at a sushi restaurant, so I would prefer raw. 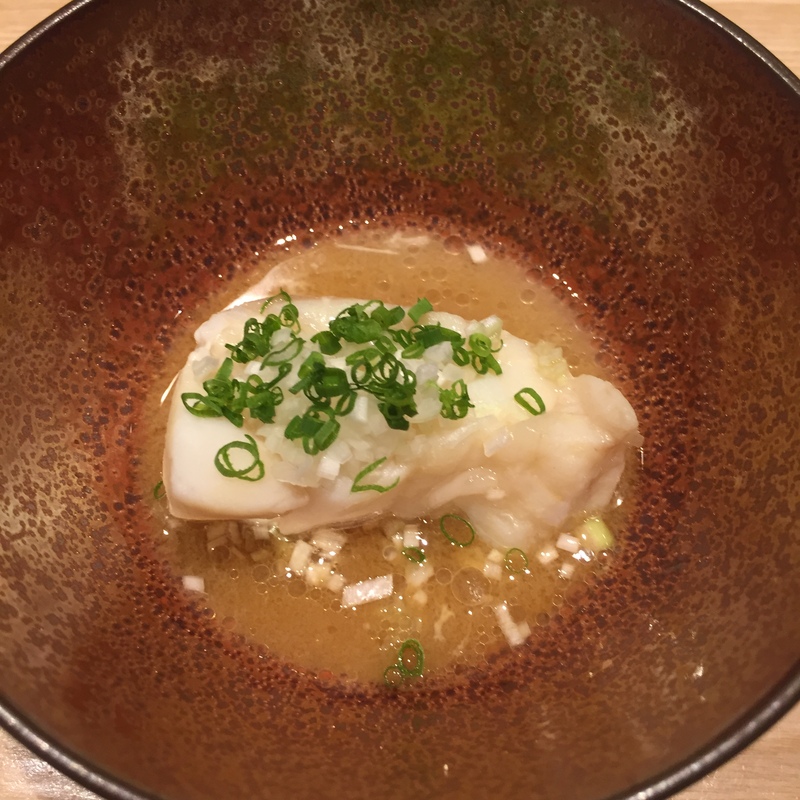 Oh USHIWAKAMARU, I miss you so… The AWABI was really great as well, very tender, but still some chew for that perfect bite. Man, this restaurant is HOT (temperature), I’m practically sweating. 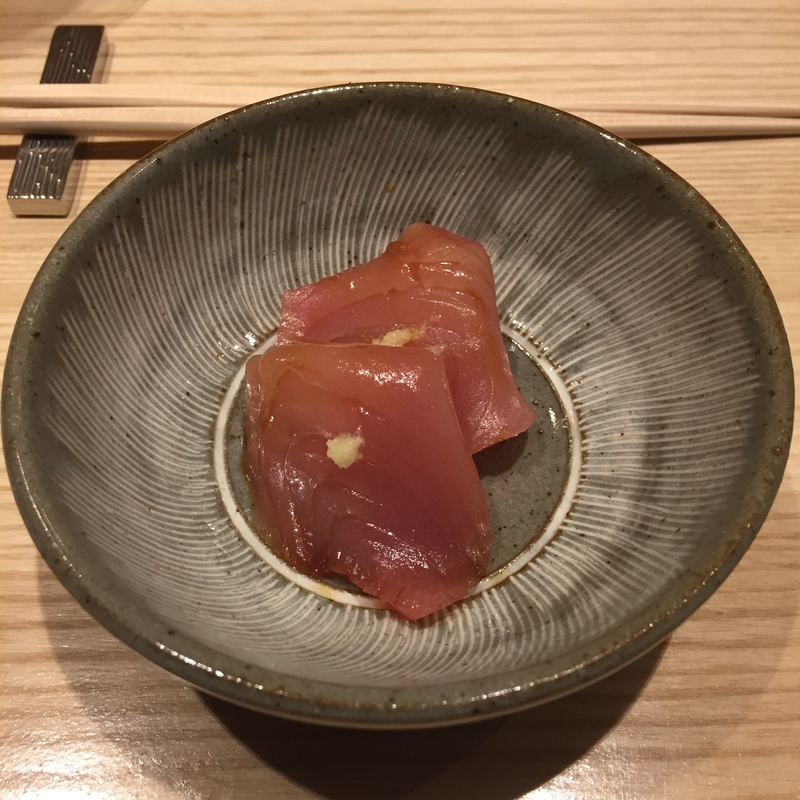 OKURA ZUKE (Type of a Tuna, marinated) – Looks like a BURI huh? Not so. 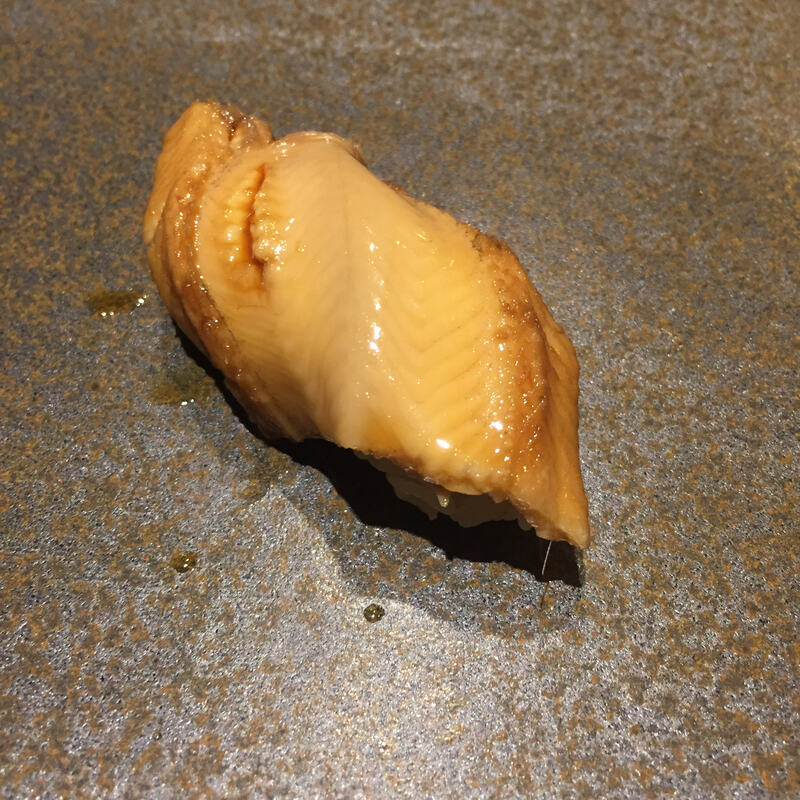 Shion-san said that this was a type of Tuna, in a specific region of Japan. I’m not sure on the spelling though. Thoroughly marinated and topped with ginger, so light and refreshing! 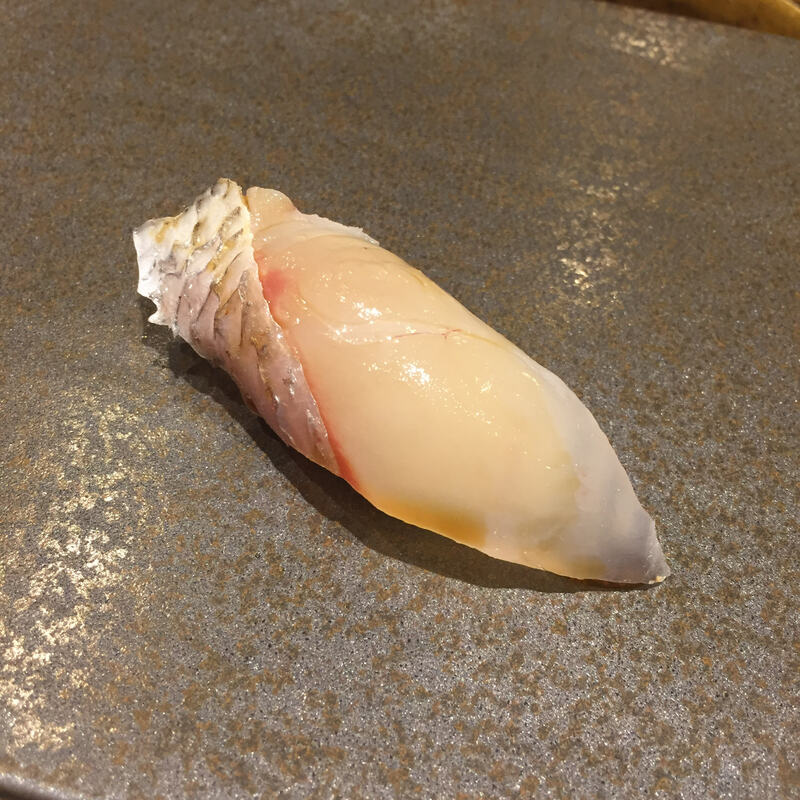 TAIRAIGAI (Penshell clam) – My least favorite of the clams. And this one was fully grilled, so even worse. MURASAKI UNI from Hokkaido and IKURA (Salmon Roe) – Thank you for coming back to the raw, great quality UNI. Very odd, but this IKURA tasted very different than our first IKURA serving, this one was much better! Super duper yummy! 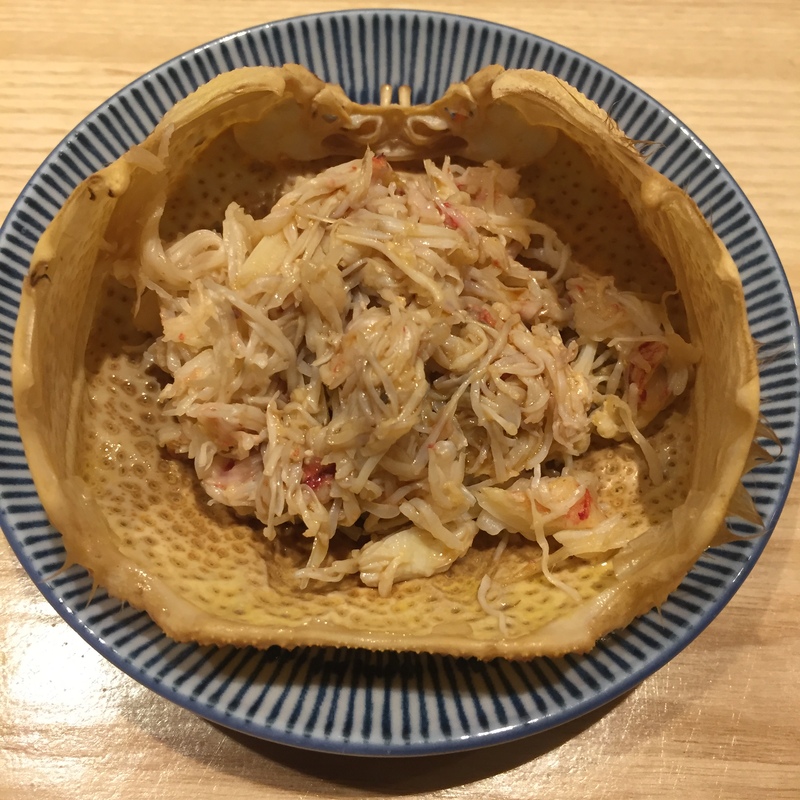 HATA (Sandfish) – Served in a ponzu dashi and topped with Japanese onions. The fat by the skin is great, but otherwise, really bland. BTW it is OK to pick up your bowl and drink the soup! It is not frowned upon! It actually a sign of compliment to the chef. 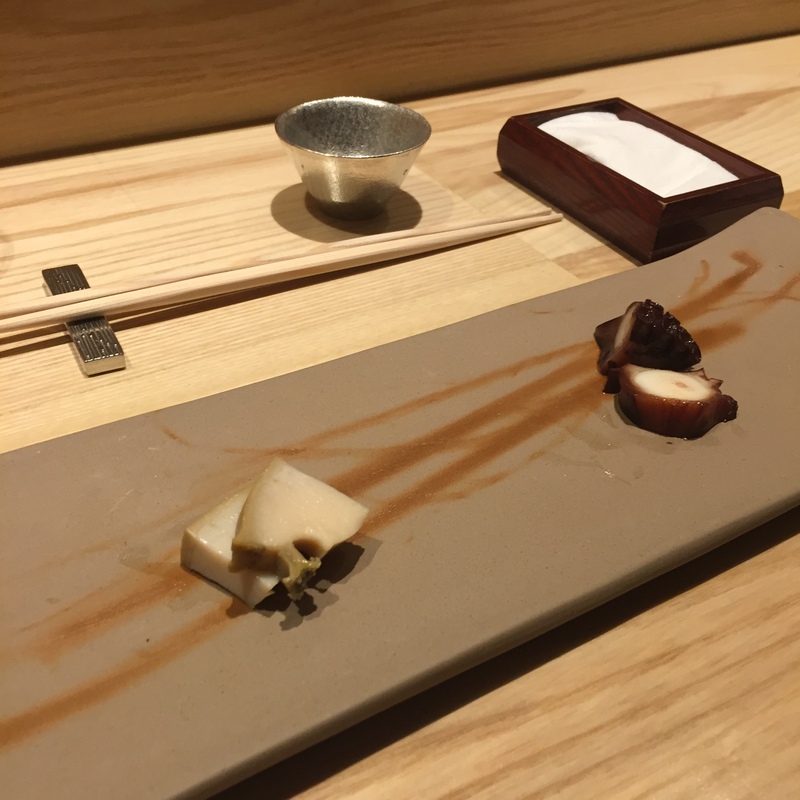 YARI IKA (Squid) – Pardon my language, but WTF is this crap??? I can get this from a million other yakitori places! And better prepared too! Absolute waste of a serving. 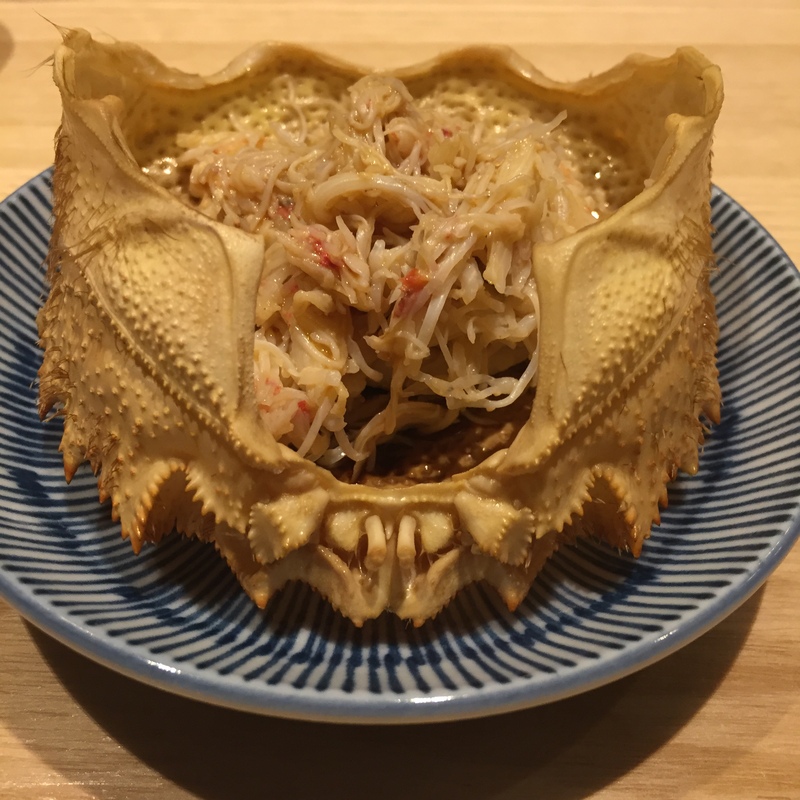 KEGANI (Hairy crab) – Another fully cooked serving, that was then brought back to room temperature. Decent, but again, another fully cooked dish? I probably would have enjoyed it more if served HOT too. 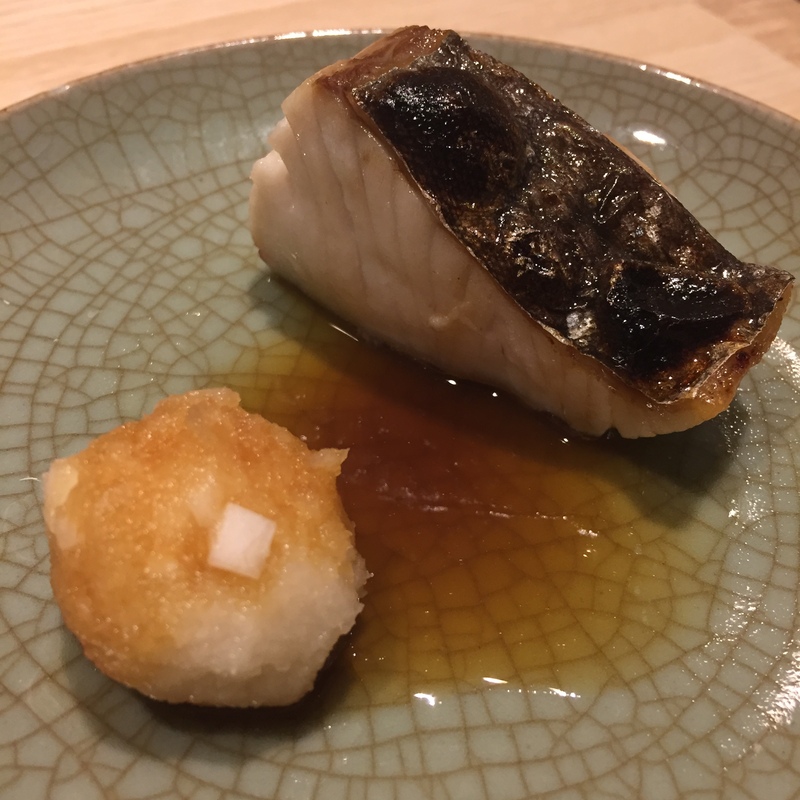 SAWARA (Spanish Mackerel) – You cannot be serious. Another cooked dish, and not even all that good. I did not finish my serving, only tasted. NOT KISU but a type of Whiting – Really tender and juicy, but I cannot enjoy it. I am beyond pissed that I am getting another cooked dish. 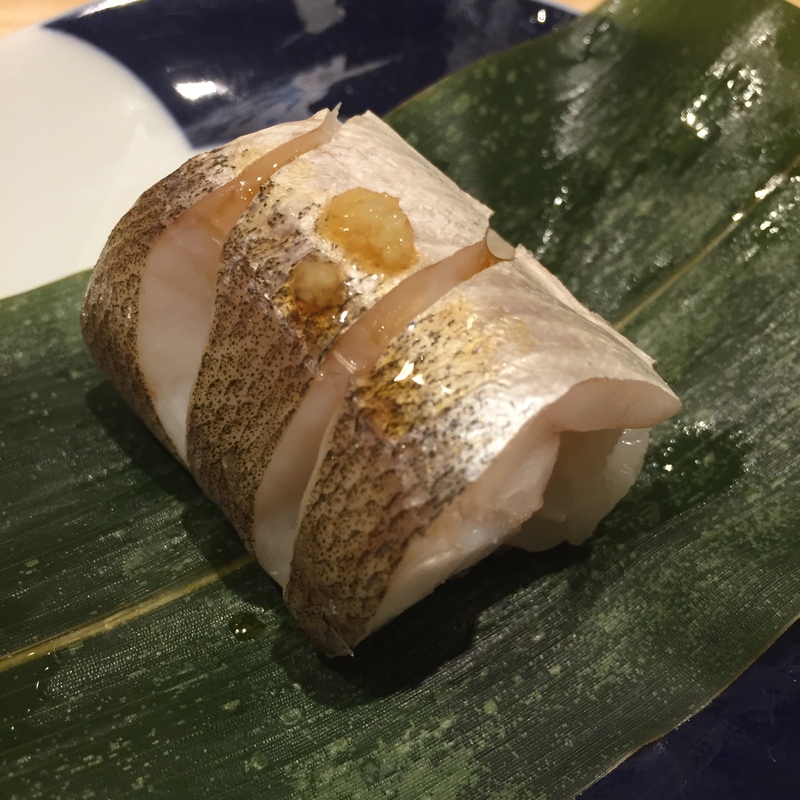 MADAI (Japanese Seabream) – Finally! RAW FISH! The verdict??? Not a good start! The fish was dry, flavorless, and incredibly chewy! The rice was great though! 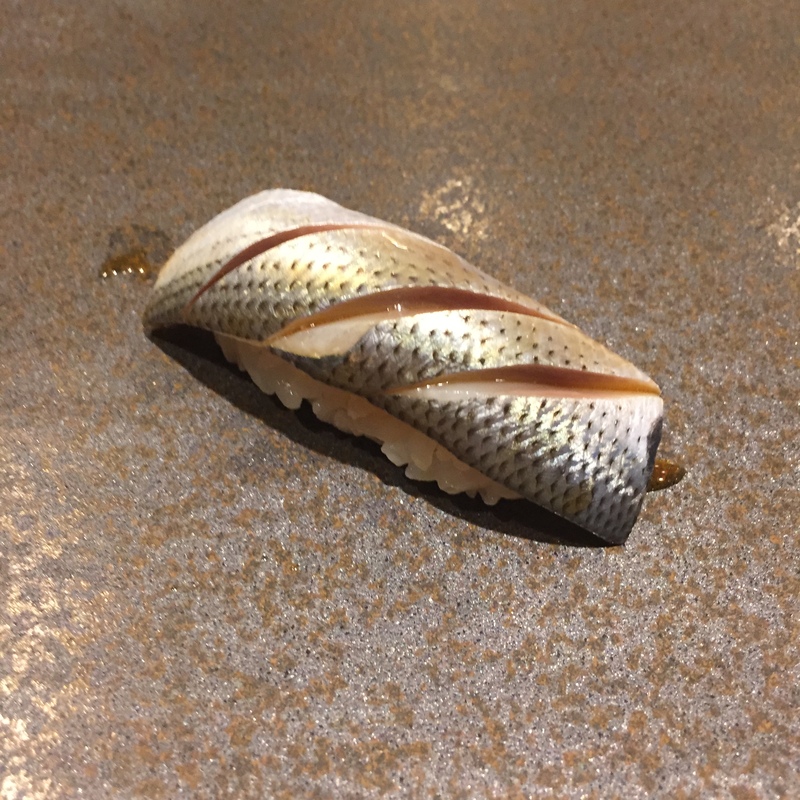 KOHADA (Gizzard shad) – A little too fishy, more than normal for a KOHADA. 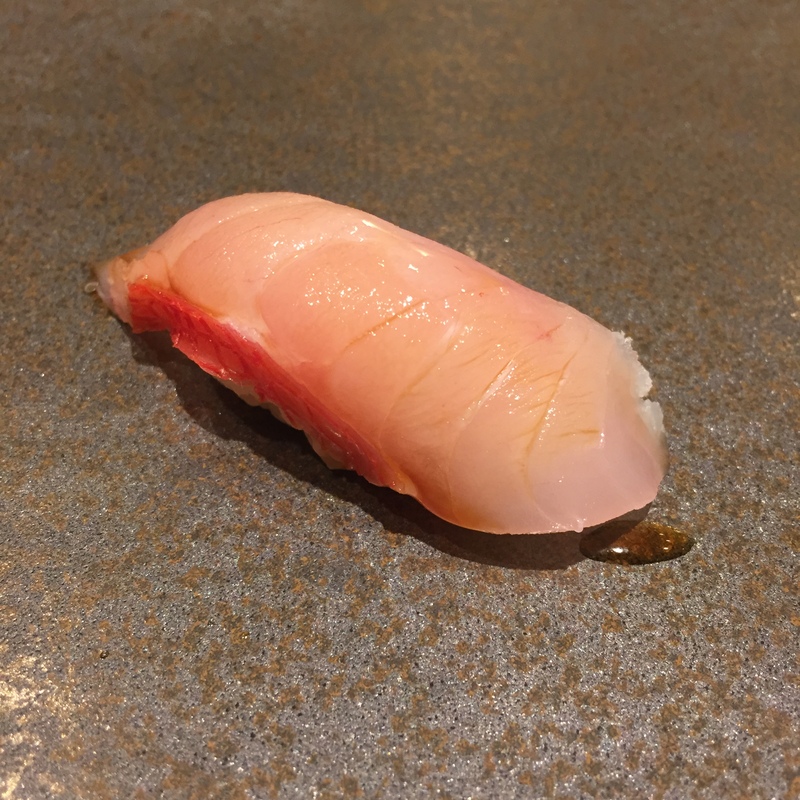 AKAMI ZUKE (Marinated lean Bluefin tuna) – First great piece of sushi. The marination was superb. The quality of the AKAMI and the flavoring were both great. 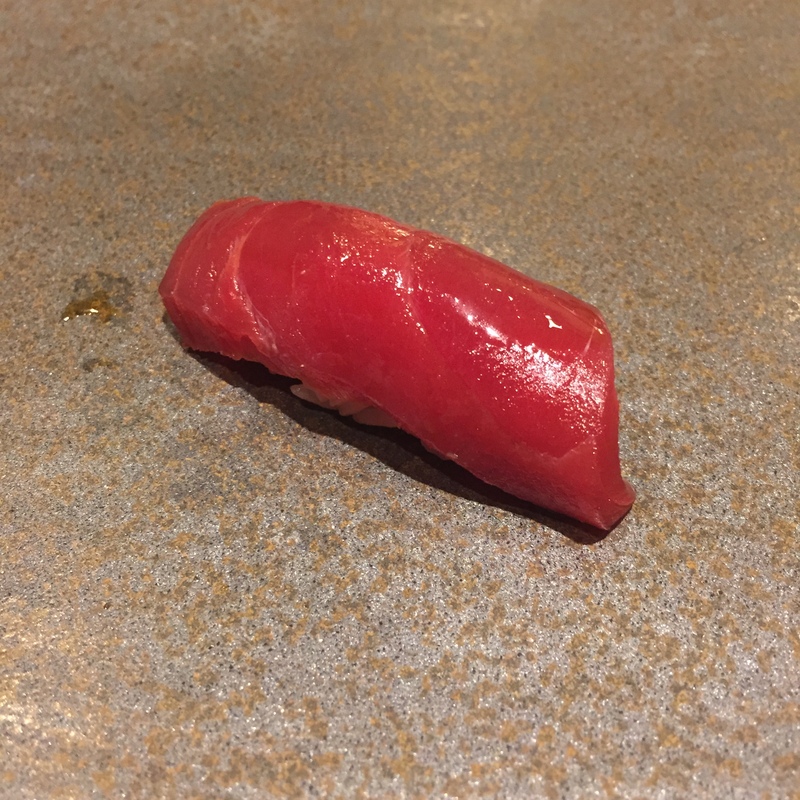 CHUTORO (Medium fatty tuna) – Wonderful cut of CHUTORO. Perfect amount of fat, no funkiness, no chewiness, just melt in your mouth yummy goodness. 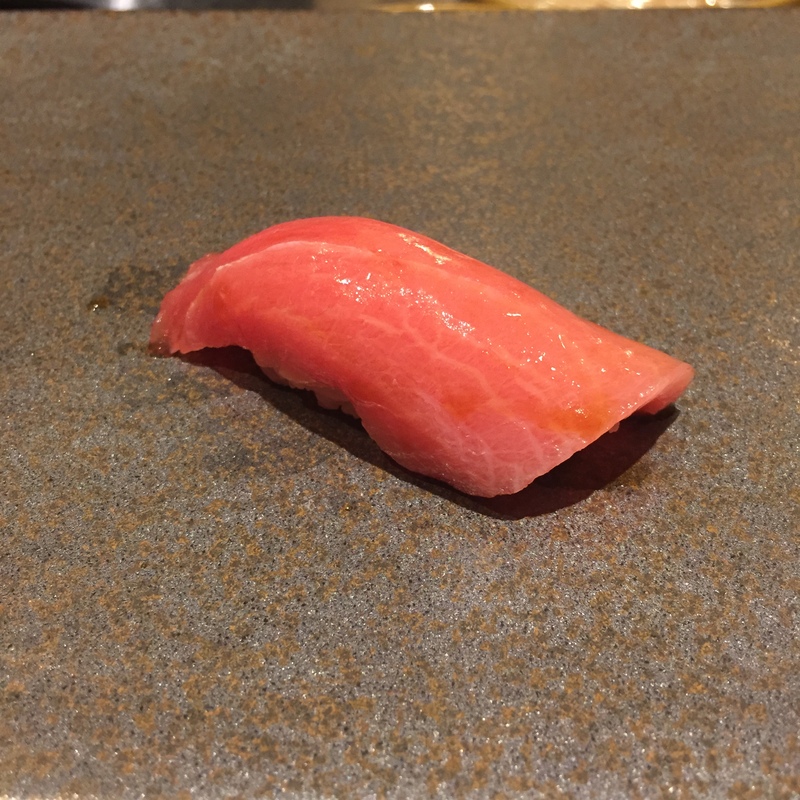 OTORO (Super fatty tuna) – INCREDIBLE!!! Clearly, Shion-san loves his Tunas! Just like the CHUTORO, not one negative thing to say. Delish!!! 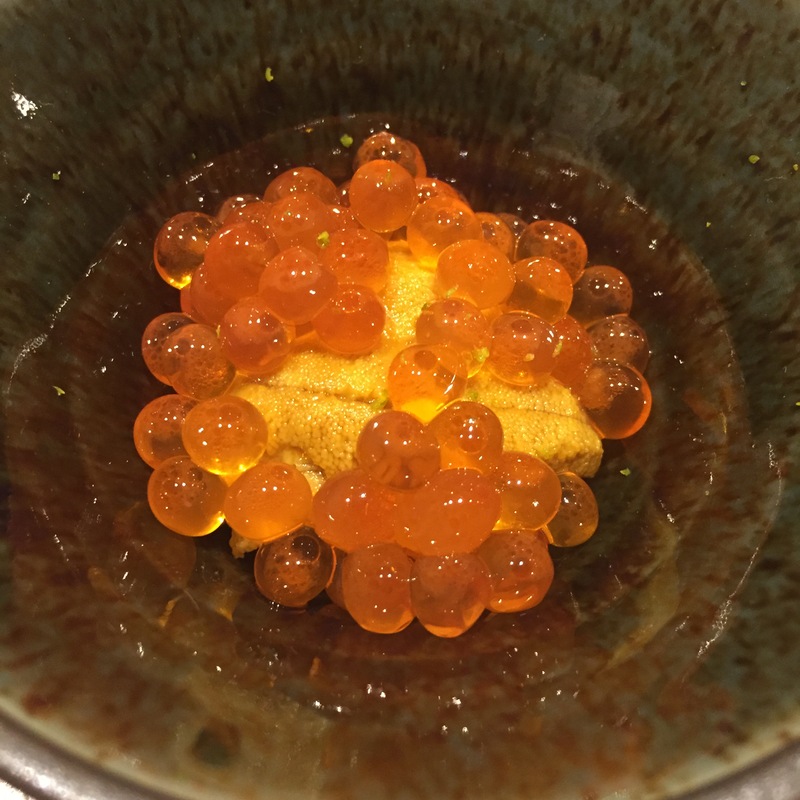 SURUME IKA (Pacific squid) – Topped with sea salt and SUDACHI (a Japanese citrus). Good, but BO-RING! 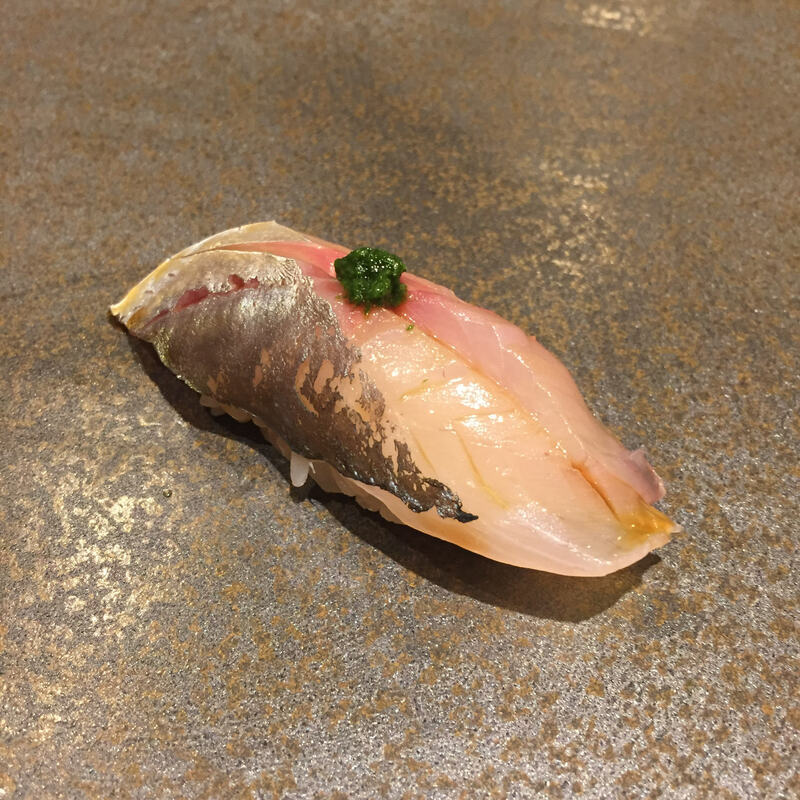 AJI (Japanese Mackerel) – FANTASTIC! You think I would complain about how commonly available this fish is, but I won’t. I’m just grateful for another raw, and good serving! Talk about low expectations. 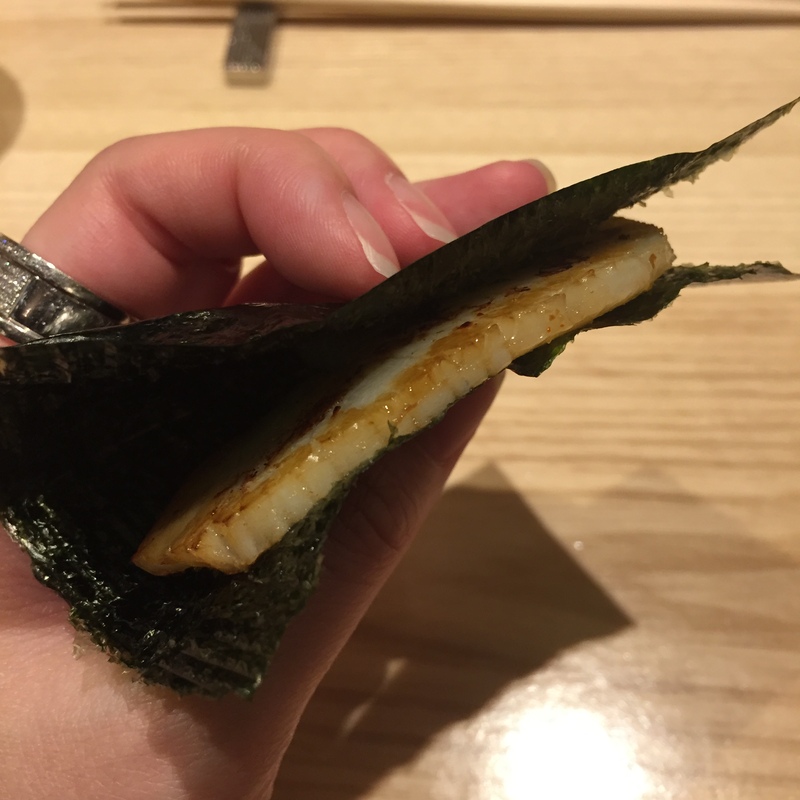 ANAGO (Sea eel)/OTORO ABURIed (torched) – Poor boyfriend wasn’t smart enough to follow suit, and ask for no ANAGO, so he got yet another piece of cooked crap. 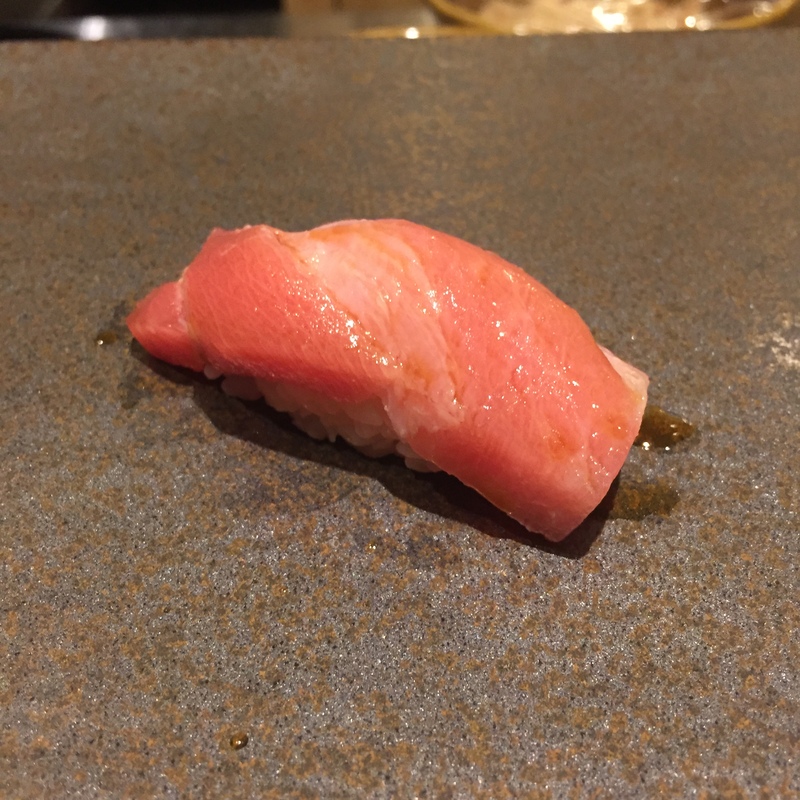 I on the other hand, received another delicious serving of OTORO, this one was ABURIed. I marvel at how smart I am sometimes. 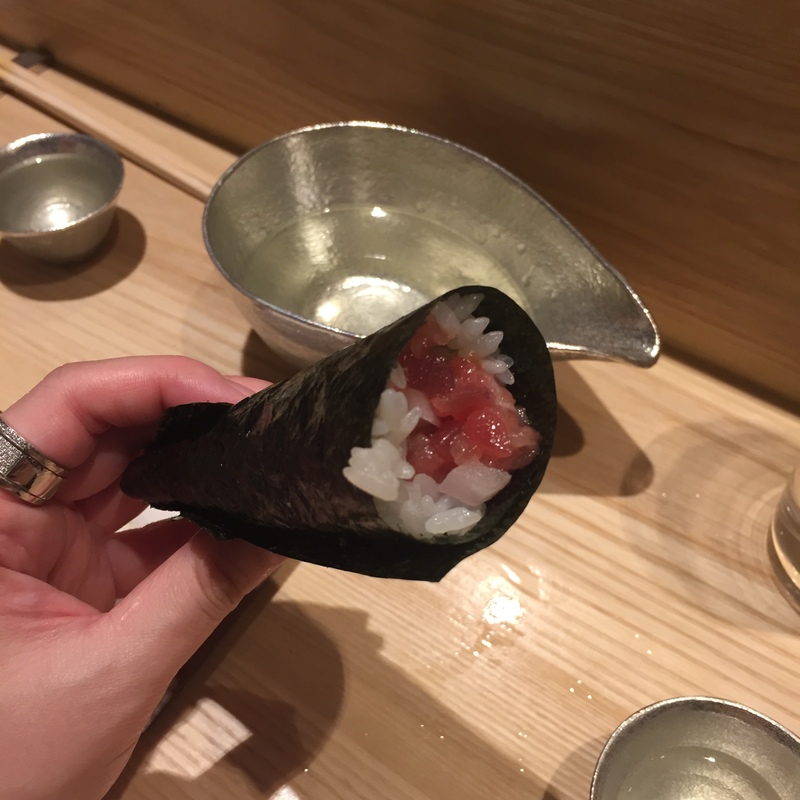 AKAMI handroll with Japanese scallion root – Good tuna, good roll, but nothing I sit and dream about. At least Shion-san didn’t give me a vegetable roll. If he had, I would have probably reached over and punched him. I was duped. This was not a sushi meal. I am not happy that we paid $250 per person for this much cooked food. Not happy at all.